Today we held our fourth annual "Spook-tacular" scrimmage and fundraiser for FIRST Lego League in Haiti! There were eleven teams in total at this successful day raising about $4,000. 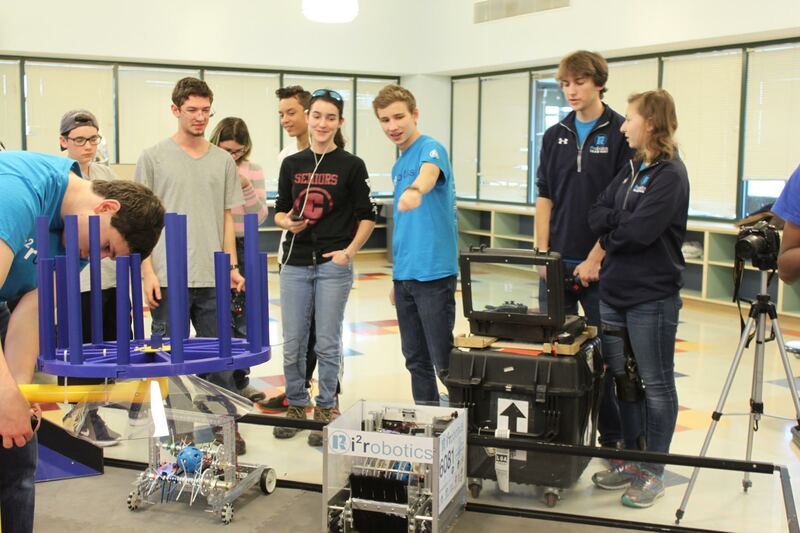 Team members and coaches alike collaborated on game and robot strategy, sharing ideas, and getting robots ready for the end of day scrimmage. 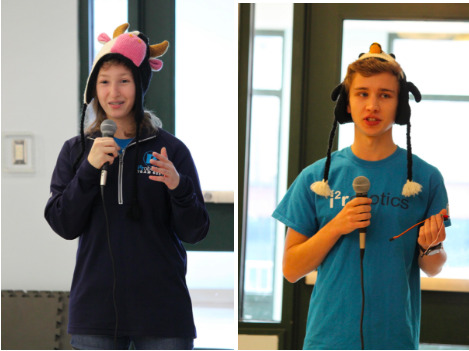 To start off the day, Phoebe, along with Evan Barnet and our coach Terry, welcomed all the teams and encouraged everyone to work with one another and continue to make progress on their robots! Then Luke announced the release of our new power sensor, i²draw, and later Theo demonstrated the new sensor to teams and spectators. i²draw measures current and voltage and helps teams understand the amount of power the robot consumes, this can be extremely helpful in preventing blown fuses leading to robot freeze-ups during a match. i²draw is being sold for $30 plus shipping, and all of the profits will go to helping FLL in Haiti! Please contact us at info@i2robotics.org to order your sensor. i²r supports women in STEM. 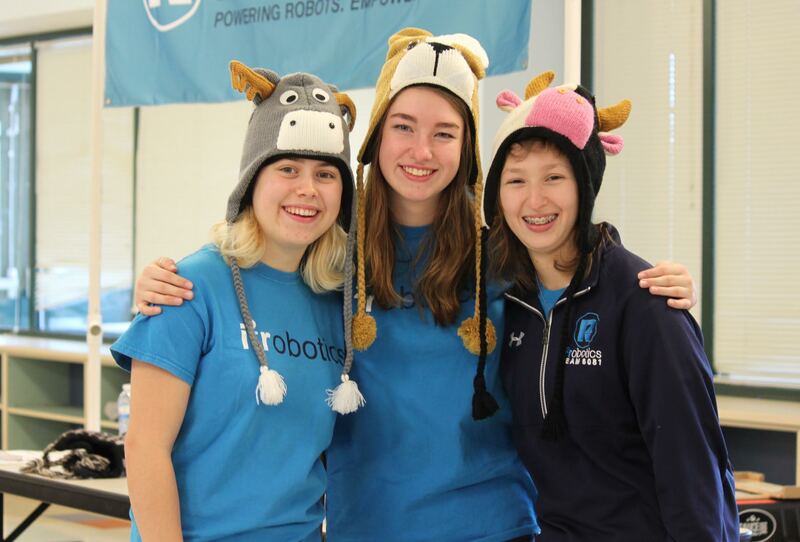 Here’s Molly, Megan and Phoebe giving girl power (i²r) to FIRST robotics! Molly, Megan and Phoebe at the Scrimmage! Several teams made excellent progress. Some teams arrived with parts or basic drive trains and by the end of the day seven out of the eleven teams had competition ready robots. We collaborated with many teams, both rookie and experienced. We were able to learn a lot from these teams, and we hope they learned as much from us! 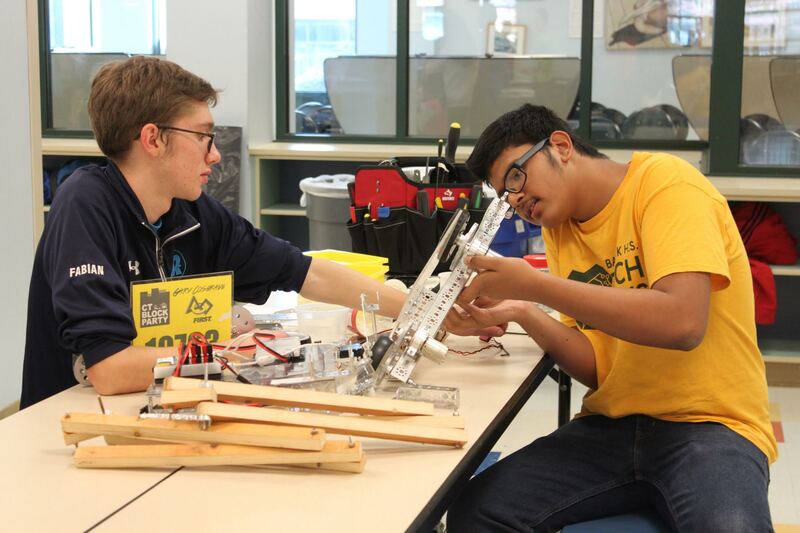 Several of our build team members were able to help a lot of the rookie or newer teams, whether it be finishing a drivetrain, collection system or shooting mechanism. Our programming team, Nathanael and Theo, helped with the programing of their robots. During lunch, Jack Chen gave a presentation about season and robot strategy. 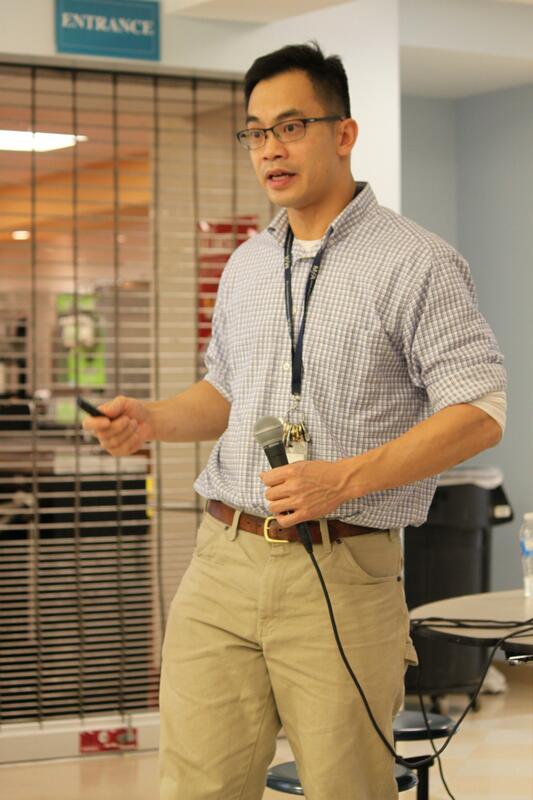 As a physics teacher and mentor of FTC team Robo Pandas, Jack Chen was an enormous help to all teams present! In addition to the presentation, he was available talk to teams afterwards about specific robot problems, and guide teams on possible solutions. Thank you, Jack Chen for joining us at the scrimmage! By the end of the day, we were able to have the first matches of the season in CT! 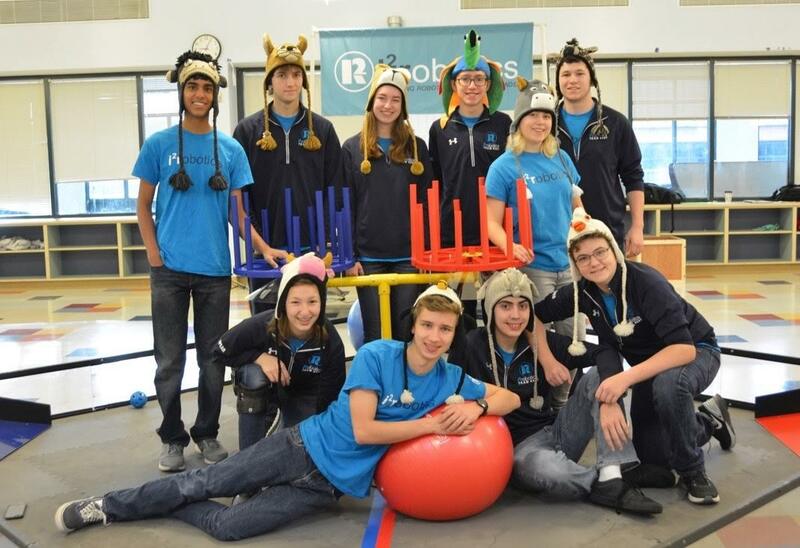 Multiple robots competed in the matches, and the excitement grew as points were won. It was a great experience for all! First match of the season! We would like to give a special thanks Staples HS administrators and staff for allowing us to use the cafeteria at Staples and to all of the parents who helped out with concessions and the other tasks during the scrimmage!